The Shango festival celebrates the god of thunder, an ancestor who is said to have hanged himself. Lasting about 20 days, sacrifices are made at the shrine of the god, in the compound of the hereditary priest. On the final day, the priest becomes possessed by the god and gains magical powers. He eats fire and swallows gunpowder. 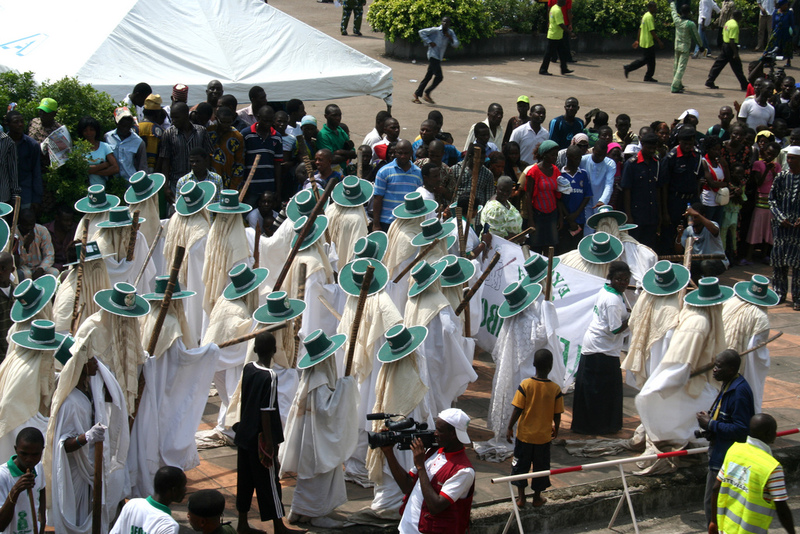 The procession again goes off to the Oba's palace and the feast begins, accompanied by palm wine, roast meat, and more dancing. In the past, the priest of this cult would have been a very rich and powerful man. With the decline in power of the Obas, and the large numbers of people who no longer profess to believe in the old pantheon of gods, the priests of the Yoruba are much poorer and less powerful than they once were.